The gaming industry in the 21st century is a multi-million dollar business inundated with developers and publishers trying to push their projects onto the masses. As gamers, however, we’re more interested in the artistic integrity that these games have to offer, and few publishers have been able to capture and hold on to our attention as long as Rockstar Games has. Sometimes for shocking controversial reasons, other times for true trailblazing intent. 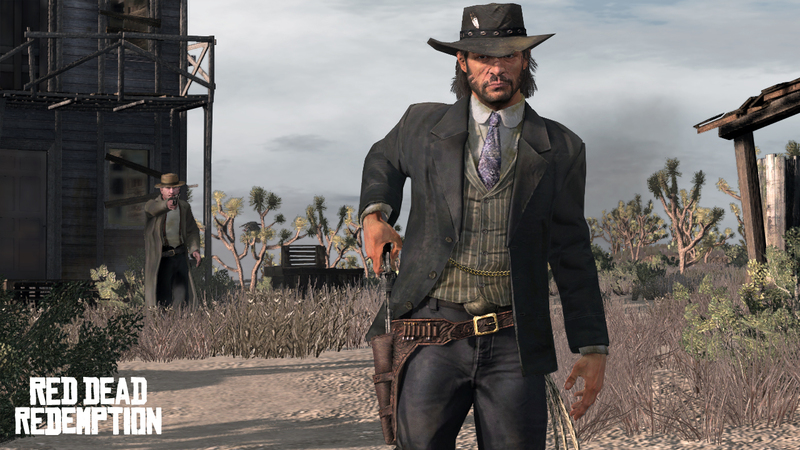 With the release of Red Dead Redemption 2 last year, I thought it would be fun to rank my favorite protagonists from Rockstar’s games over the last 20 years. I want to remember liking Niko Belic from GTA IV. I really do. But every time I think about his character, I’m reminded of his annoying cousin and friends calling me to go bowling while I’m in the middle of a shootout in Liberty City. Niko is the antithesis of a normal GTA protagonist up to this point in the series. He struggles with his inner turmoil from actions he made in his past and while that adds some depth to his character, it also kinda makes him… Not fun. Surly. Grumpy. When compared to some of the other characters on this list, he comes off as a wet blanket. In a way, it makes GTA IV the darkest installment of the series, because while other GTA protagonists are having a blast, literally blowing up everything in sight, Niko would rather make life as a GTA character as hard as it could possibly be. I get it, buddy. You had a hard life. You didn’t need to remind me again and again during every cutscene. Cole Phelps, played by Mad Men alum, Aaron Stanton, is a unique, special character in the Rockstar catalog, considering his position as World War II veteran turned LAPD detective. One could say he had great moral standards when compared to the other characters on this list because of his constant pursuit for the truth with the use of his wits, only resorting to his fists when necessary. He follows his code of honor as best as he can, standing up to corruption whenever possible. However, he’s far from perfect, since he struggled with his inner turmoil wrought from decisions he had made prior to the story of L.A. Noire and during the game’s plot. Acts of cowardice that led to the deaths of the men he oversaw and his act of adultery make him a complicated protagonist. Deranged, angry and violent are nicer words that can be used to describe Trevor. A truly unforgettable character in the Grand Theft Auto series, Trevor first stepped on the scene in GTA V by literally stepping on and stomping in the head of Johnny Klebitz from GTA IV: The Lost and Damned. It was hard, however, to see him as anything more than a psychotic mess (which was still fun to play) but his character lacked any real strengths other than his need to and talents for causing mayhem. He is the literal embodiment of all those years we spent playing previous GTAs trying to rack up as many stars as possible committing crimes in the city. Except Trevor did that and more before breakfast as part of his daily routine. Franklin comes off as one of the least interesting characters on this list mainly because he’s the least interesting character in his own game. When compared to loose cannons like Michael DeSanta and Trevor Phillips (albeit both have their own different reasons for being the way they are), Franklin comes off as the voice of reason on the squad. His crowning characteristic is supposed to be his strong sense of ambition, which doesn’t set him apart from any other GTA protagonist in history. And aside from several of his story missions involving crime in black neighborhoods, he doesn’t really stand out all that much. Max Payne had a story so sad, it’s a game I never wanted to play again after I finished it. He probably has the most sympathetic story on this list, as a former police detective who became a DEA agent after his wife and child are killed by junkies. After going undercover to try and break down a drug ring, his cover is blown, and his partner/friend is also killed. It’s this traumatic history, told through flashbacks and Max’s inner dialogue with himself, that adds vulnerability to his character even though his story is one of unrelenting revenge, as he makes his way to find and punish those responsible for all the pain that he’s had to live through. Despite all this, nothing made him cooler than the fact that he was the first video game character to use “bullet time”, the mechanic that allowed the player to have limited control of their character while time slowed around them in the game. There were few things cooler in 2001 than Max Payne diving through a door guns blazing and watching those bullets reverberate through the air. I would have put Claude higher on the list but the fact that we didn’t know his name until Grand Theft Auto: San Andreas a few years later always bothered me. Affectionately known as The Mute by CJ in San Andreas, Claude is probably the character most people associate with the GTA series, as it was his issue that pushed the series to new heights and back into the news. My argument for Claude is that his silence and unremarkable appearance allow us to project ourselves on to him, making it our personal adventure rather than us playing another character’s story. Michael and Trevor are the old guys at the Rockstar party. But, while Trevor is still raging with all the younger guys on the dance floor, Michael is probably sitting in the corner sipping his whiskey, seemingly paying attention to the action but instead he’s staring off into the distance. What is Michael’s motivation? For most GTA characters, it’s some quest for revenge, power or money. For Michael though, it seems that he’s just bored and looking for an escape from the depression caused by his midlife crisis. He is the one GTA protagonist that has his life in order yet that has led to him feeling like he has no purpose in life. He is by far the most compelling of the three characters we’re introduced to in Grand Theft Auto V. We watch him mentor Franklin in the ways of the criminal underworld, while still trying to keep his family life together. Throw in an interesting backstory prior to the game’s events that also tie in Trevor, and Michael becomes one of the more developed characters we get in a Rockstar game. He may not have the most original story, with Vice City taking elements from Hollywood classics like Scarface, Carlito’s Way and Miami Vice. He’s also not particularly morally complex like CJ or John Marston. He’s your typical wisecracking mobster except he’s damn good at what he does – imagine a refined Trevor Phillips causing chaos in Miami. Played brilliantly by Ray Liotta, Tommy strolls into Vice City wearing a gaudy Hawaiian shirt and builds a criminal empire making it his city. Vice City probably has my favorite storyline of the bunch even though it’s plot is rather simple. One of betrayal, revenge and conquest as Tommy curses and shoots his way to the top mowing down everyone standing in his way but hell, it’s a lot of good fun. The reason I find Morgan so appealing is because of his self-awareness of the bleak situation that he’s in. A video-game gunman who’s come to detest the seemingly never-ending violence as they make their way to Tahiti or Mexico or whatever random destination the gang decides. I felt his emotional pain as the story unraveled. At the end of the day, it’s his “redemption” that gives the Marstons the chance at a new life away from the violence. As the first black protagonist in a GTA series, CJ holds a special place in my heart. San Andreas didn’t stop there, as it was the first GTA game in which a lot of firsts were made, from flying fighter jets to jetpacks, to meeting aliens in Area 51. CJ’s fierce loyalty to his family and his tale of betrayal/redemption make his story captivating when tied with the immersive, sandbox gameplay that San Andreas had to offer. He was also the first customizable character in the GTA series, allowing players to change things about CJ from his hairstyle to tattoos to his physique. Eating a lot of fast food caused him to gain weight and lose stamina quicker while hitting the gym built his muscle mass and turned him into San Andreas Batman. John at the start of Red Dead Redemption is a retired outlaw-turned-farmer who’s just trying to look out for his family. He’s coerced by the Investigation Bureau to track down three members of his former gang and bring them to justice, and if he refuses or runs they threaten to kill his wife and son. This might seem like a typical video game story plot, but John brings a nuanced take to this damned, tortured soul who just wants the best for his family.